i) The candidate must have a Master’s degree (from recognized Institution) in Community Development, Sociology, Rural Development or Development studies with at least a GPA of 4.0 out of 5 and a minimum of 3.8 out of 5 or its equivalent in the first degree. ii) Additionally, one must have scored a B+ in the relevant subjects or its equivalent. i) The candidate must have a first Degree in Civil Engineering/Structural Engineering (from recognized Institution) with a minimum GPA of 3.8 out of 5 or its equivalent. i) The candidate must have a Master’s degree in Structural Engineering, Water Resources Engineering, Mineral Process Engineering, or any other related field (from recognized Institution) with at least a GPA of 4.0 out of 5 and a minimum of 3.8 out of 5 or its equivalent in the first degree. i) Undergo an induction course in pedagogic skills for those who had non before. ii) Carry out lectures, conduct tutorials, seminars and practical training. iii) Prepare and present case studies. iv) Conduct, publish and disseminate research results. v) Recognize student with difficulties intervene and provide help and support. vi) Participate in consultancy and community services under supervision. vii)Attend workshops, conferences and symposia. viii) Perform any other duties that may be assigned by relevant authorities. i) Adherence to profession ethics. iii) Ability to communicate information, knowledge and skills to others. vi) Ability to work as part of the team. vii) Enthusiasms and self motivated. ix) Motivation for innovation, further learning and continuing professional development. In all post above staff will be employed as per Harmonized Scheme of Service for Academic Staff in public Universities and Constituent Colleges. GENERAL REQUIREMENTS FOR ALL APPLICANTS. 2. All applicants with certificates from foreign Universities should have the certificates verified by the Tanzania Commission for Universities (TCU). 3. Applicants who are currently employed by Public Institutions should channel their applications through their employers. 5. Age limit: Not above 45 years. 6. Applications should reach Ardhi University in two weeks after the first appearance of this advert. 7. Only short-listed applicants will be contacted. 8. 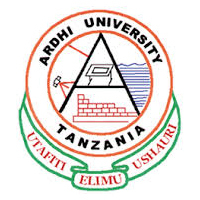 Details of the available vacancies, specializations, qualifications, duties and responsibilities of the advertised vacancies can be obtained from Ardhi University Website www.aru.ac.tz. Required Qualifications: Holder of first Degree / Advanced Diploma in Insurance or a Diploma in Business Field plus a Certificate in Insurance or any other recognized professional Insurance qualifications; AND 3 years post qualification experience in the Insurance Industry at managerial or executive position. ii. To develop competitive quotes, to prompt of documents promptly, and proper advice at the time of claims. iv. To develop and nurse relationship with clients through, physical visits and various communication platform. v. To enhance public awareness of the Agency through various communication strategies. vi. To build support with Institutions in Tanzania in order to have their Insurance routed through ARU’S Insurance Agency. vii. To maintain an accurate and complete customer database and networking with construction firms in order to solicit business from construction industry for ARU’S Insurance Agency. Duty Station for the advertised post is Dar es salaam. i. All academic awards should be from recognized Universities and Institutions. 2. Applications should reach the University by using the address below not later than 2 weeks time after the first appearance of this advertisement. 3. Only short-listed applicants will be contacted.